Can-Am Champion 1974 Uop Shadow Sticker. 4" or 5". 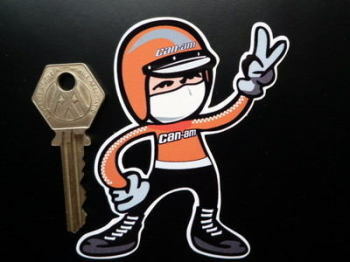 Can-Am Driver 2 Fingered Salute Sticker. 3.5". Canadian American Challenge Cup Chequered Sticker. 4". Reynolds Aluminium CanAm Group 3 McLaren Style Stickers. 12" Pair.